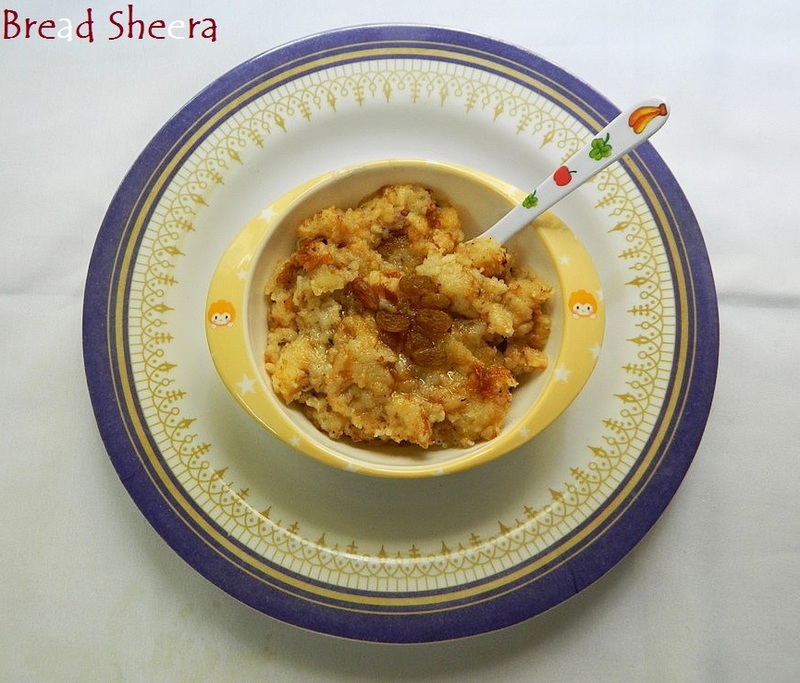 Bread Sheera is one quick option for dessert or a twist in the regular semolina sheera that we already know to prepare. If your kid is a sweet lover then he/she is definitely going to like this. Shallow frying bread in the ghee gives a beautiful aroma and a very good taste. I came accors this recipe in one of the cookery shows. Calorie conscious people be careful!, but once in a while should be ok :). Lets go thought the procedure. 1. Cut the bread slices into small cubes. 2. In a pan fry the almonds and khishmish in a tablespoon of ghee. Keep them a side. 3. In the same pan shallow fry the chopped bread cubes. 4. When the bread slices turn into slight brown color, add milk, sugar. 5. Mix well. Add another table spoon of ghee and cardamom powder. 6. Garnish this with the fried raisins and serve hot. Be gentle in mixing it should not become sticky.